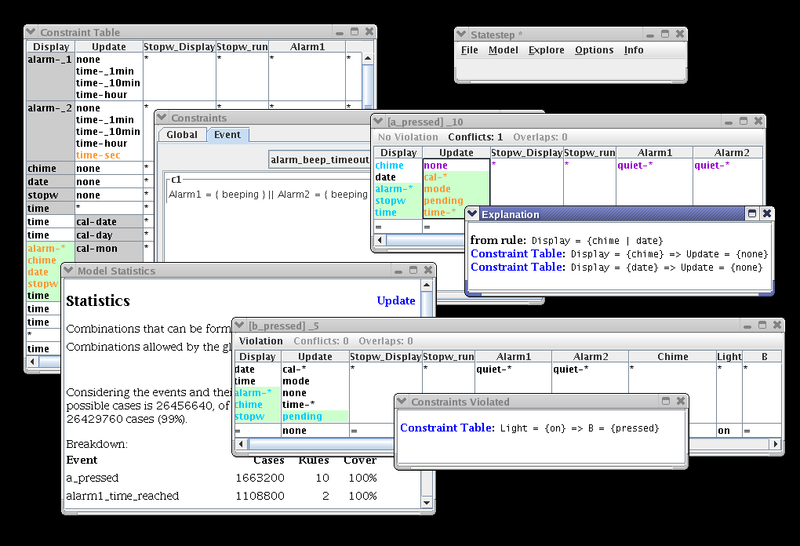 Statestep is a truly unique tool that helps you to manage large numbers of combinations of conditions. Even if you are dealing with millions or billions of possibilities, Statestep makes it easy to systematically define a set of rules covering all cases, ensuring nothing is overlooked. Click the image for a full-size screenshot. For an introduction to how the tool works, check out the first two or three pages of the tutorial. Why not try it yourself for free? Statestep v1.3 is available to download now. Note: for those who need automatic code generation, a set of template packages are available as separate downloads.